Add the perfect finishing touch to your Christmas tree with this 13-Inch Plastic Gold Glitter Star Treetop from Kurt Adler. 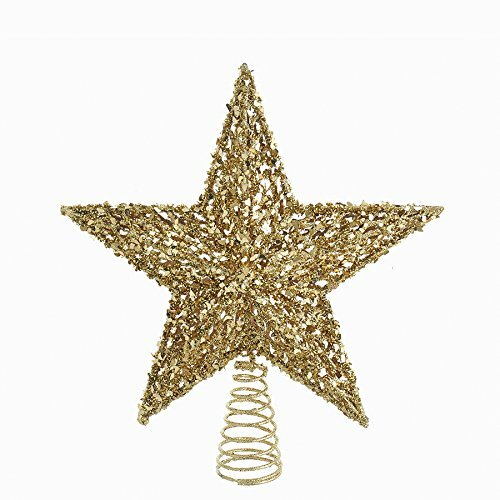 Its simple 5-point star is unlit and has an allover gold glitter finish that is sure to stand out in your overall holiday dcor. Its spiral base attaches securely to the top of your tree.